Travelling again. Just for a few days. One of the aspects of my ‘job’ (I’m embarrassed to call it that, even though I work very hard) that I most enjoy, is the ability to travel to new places, meet new people, and learn quite a bit in the process. I’ve been to Rioja before, but just for a day. It will be nice to get a proper feel for the region. 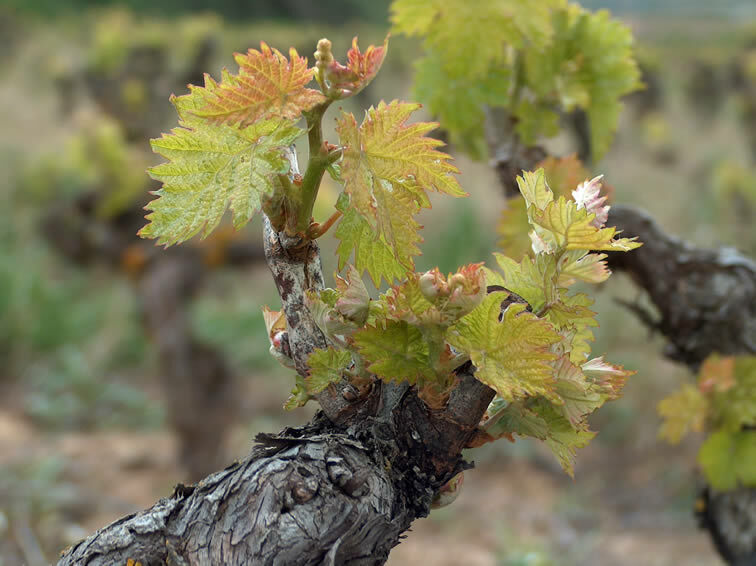 My preconceptions are, from tasting widely, that Rioja is capable of greatness – it possesses some superb old vine vineyards, and lots of them, planted in places that are good for growing wine grapes. The reality, though, is that Rioja is dining out on its reputation. Most of its wines are pretty industrial concoctions, made in large wineries, and aged for far too long in poor quality American oak barrels. Amid the sea of mediocrity, there are a number of ambitious producers. Some of them have gone down the path of spoofiness, making very sweet red wines from too-late-picked grapes, and then using too much new oak. Some are ultratraditional, and make interesting if difficult wines. Some have found the path of enlightenment, making serious wines with a sense of place. I also suspect that serious white Rioja is a story yet to be told. It will be interesting to see these preconceptions challenged on this trip. Pictured is an old Graciano vine in Rioja Alavesa. I think your perceptions are close to the mark. I worked there for 3 vintages, so have got some idea. You might find that less people are over-ageing wine in poor quality American oak barrels than used to be the case. I’m hoping you discover the people that are following the “path of enlightenment”. As a region it definitely seems to have the potential to be one of the world’s trualy great wine regions, rather than just dining out on its reputation. If you had the chance, I’d be interested to read your thoughts on Rioja Baja v. Alta/Alavesa, on the newly permitted “international” varieties, on Graciano’s role and 100% Graciano wines and whether the ultratraditional still have a place today and are relevant at those prices. I’m sure your hosts will take you, but don’t miss an enormous tapas binge on Calle Laurel and the the less touristy San Juan – both in Logrono. And Laguardia is a sensationally pretty village. I would also be interested to read your thoughts on Graciano. What trip is it? One of the pains of press trips seems to be that they are organised by the local governmental organisations – so tend to be either Alava or La Rioja – but rarely both. Will you get a chance to tour more widely on both sides of the Ebro? Andrew – by “the ultratraditional” I imagine you are referring to López de Heredia. Surely the drastic rise in prices in recent years, while sad for fans like me who can no longer afford their wines, is proof in itself that they do indeed have a place today?